Lunchbox Dad: Your Kids Can Build Their Own Nacho Bar in a Lunchbox (Plus Have Dinner Too)! 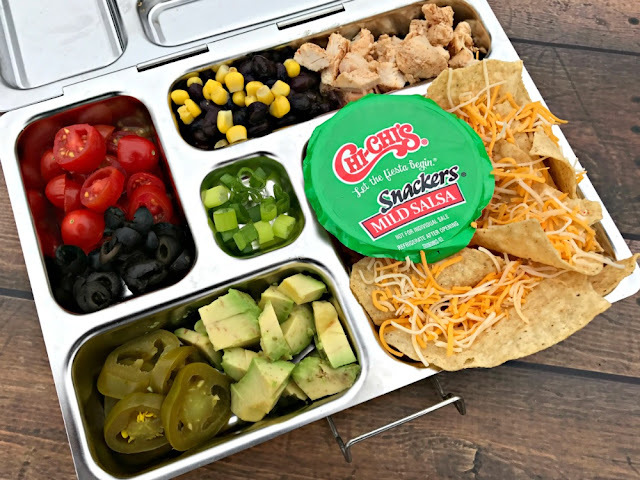 Your Kids Can Build Their Own Nacho Bar in a Lunchbox (Plus Have Dinner Too)! This is a sponsored post in partnership with CHI-CHI'S. All opinions are my own. One of the biggest complaints I get about making kids' lunches is that it takes too much time and energy. But what if you could have your kids assemble their own lunch and also have dinner done at the same time? My wife and I were wondering how to accomplish exactly this. How do you prep once, somehow get your kids to make their own lunch, and have dinner almost ready, all by the time your children leave for school? 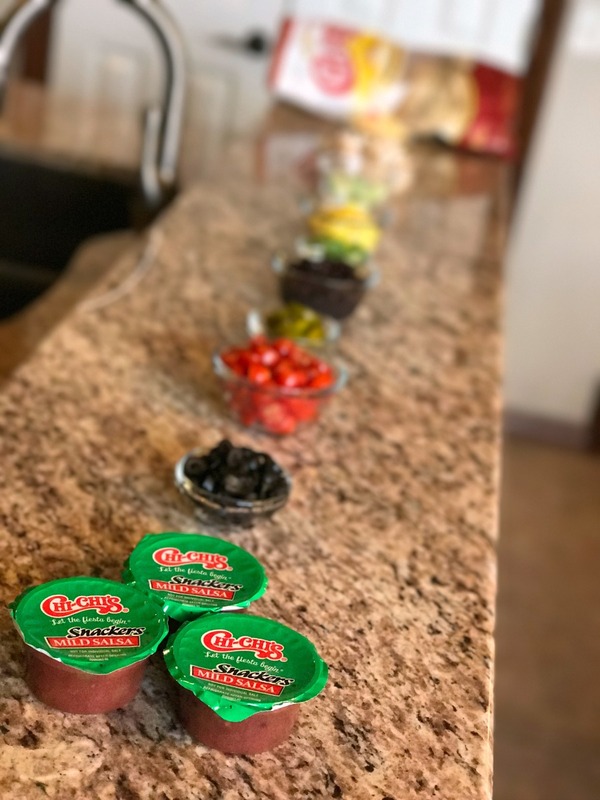 All you need are my directions below, a few minutes to slice up some vegetables, and some CHI-CHI'S chips, salsa snackers, and tortillas! When my wife and I came up with this idea, we knew nachos would be the perfect lunch, especially for older kids. The thing that makes nachos great is that they give your kids the opportunity to make their own choices in constructing their meal. All you have to do is provide them with those choices. I'll give you some ideas below. The other thing that makes nachos the perfect choice is that with a few extra ingredients, the lunch can turn into dinner. I'll show you how to do that below as well! Let's start with the prep. You can do most of this the night before so it will give you more time to find your kids' socks, pour cereal, and make yourself a cup of coffee in the morning. Get a knife and some bowls and cut up tomatoes, green onions, and lettuce. You will also need two types of protein. Grilled chicken works well because it tastes good cold or hot, so your child can heat it up, or devour it cold. We used ground beef for dinner, but you can choose whatever your family wants. Divide olives, black beans (we combined it with corn), shredded cheese, and jalapeños into bowls. You will also need CHI-CHI'S tortilla chips, salsa Snackers, and tortillas. 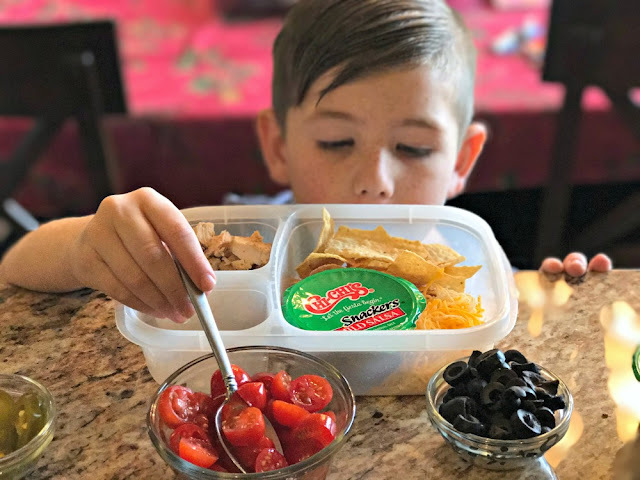 I love the salsa Snackers because not only do they fit into a lunchbox, but they are made from high quality ingredients, including real tomatoes, vegetables, and flavorful seasonings. You will want to make sure that you prep more than you think you will need for just lunch. Make sure all of the ingredients are in separate serving bowls, cover them, and put them in the refrigerator. In the morning take out the chips, chicken, cheese, beans, salsa, tomatoes, jalapeños, olives, and cut up an avocado. Line them up on the counter with your kids' lunchboxes. The trick is to let your kids choose which ingredients to load up on. When lunchtime hits, they will be able to eat their own nacho creations. When your kids play a part in making their own lunch, they are more likely to come home with an empty lunchbox! Now comes the best part. Remember how I told you that you will want to prep more than what you will need for lunch? Set out all the ingredients that you used for lunch and also include the cooked ground beef and lettuce that you prepared. Don't forget the CHI-CHI'S tortillas. Dinner is now ready. I'm being serious, this is all it takes. 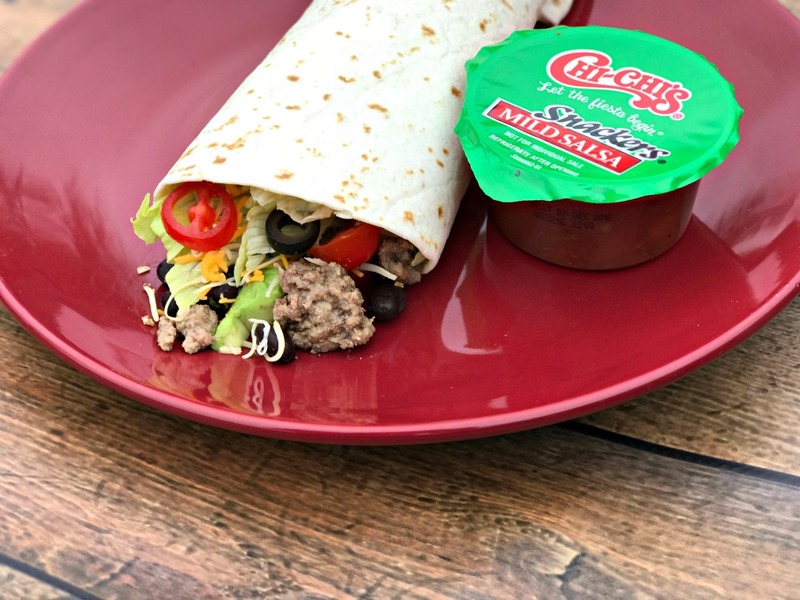 Your family can now make their own burritos for dinner. Your build your own nacho bar becomes a build your own burrito bar. Prep once, feed twice! One of the best things that you can do as a parent is to save yourself time. You have enough things going on in the day, so if you can cut out a step, it leaves more time to have fun with your children. CHI-CHI'S can help with that because they are all about making mealtime more flavorful and festive. 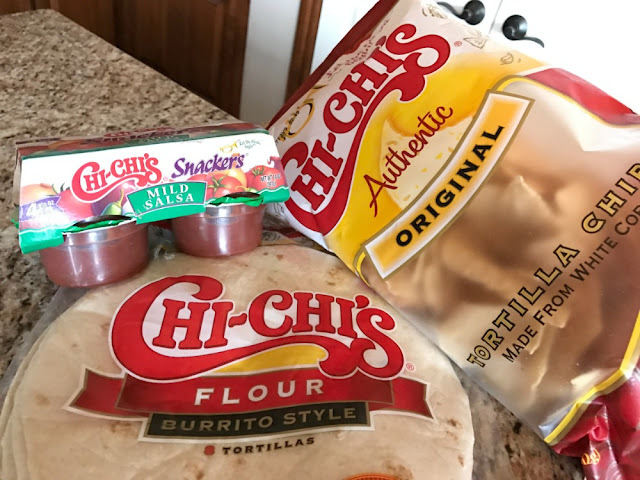 I used the mild salsa but CHI-CHI's also offers other varieties including Verde, Pineapple, Cilantro, and Thick & Chunky, available in Mild, Medium, and Hot heat levels. 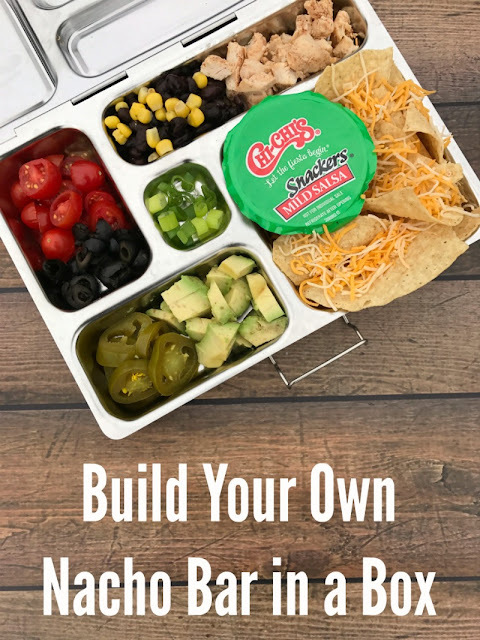 If this build your own nacho bar idea can save yourself time, make meals more fun, and easily get your kids to eat, why not give it a shot? You might just discover your family's new go-to-meal!